Walk The Path Of Smiles With Laby Cuteness Overload! When Laby saw the monster at the port, she felt strange. She felt empty, and that feeling of emptiness was impacting her ability to fight. Maybe she wasn't ready to help others out yet? Coupled with Nisha's strange behavior, the emotion washing over her caused Laby to struggle. "It's alright, Nish. 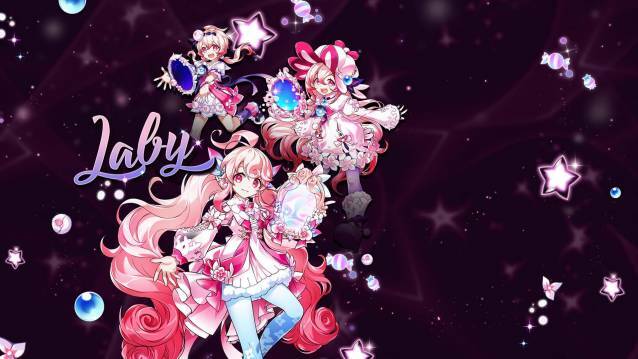 Laby is here. Laby is by your side.". In addition to the fantastic 2nd Path update to an already adorable, roseate... bare-knuckled brawler, the team is hosting some insane events to help all those interested in Laby level up, gear up, and take Playing to Win to the next level.